I plan to keep this blog primarily training-related, but it’s pretty much impossible for me to not write this week about something way more personal – my second running of the Boston Marathon just 3 days from now. My first Boston was last year, and I’ve written extensively about it on my personal blog, but the short version is that I trained harder than I’ve ever trained in my life, and I went into the race feeling stronger and healthier and more well-prepared than I ever thought I could feel. 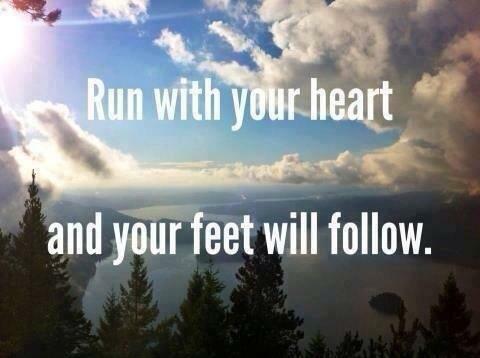 And those feelings were justified – I ran the race of my life, with negative splits and an 11-minute PR. I was on top of the world – for about an hour. And then that world collapsed. I knew from the moment I crossed the finish line that I’d be back this year. And when I realized what had occurred at the finish line not even an hour after I crossed, the desire to go back just became stronger. All through the summer, and into the fall, I raced and I ran with my friends, but my mind never strayed far from Boston. And when I got injured in October, I never imagined I’d be forced onto the sidelines for months, putting my training and my race in jeopardy. But as I struggled through those incredibly frustrating months of not running, and barely running, and running then hurting and having to stop running again – so many times it was so tempting to just throw in the towel and stop pushing. 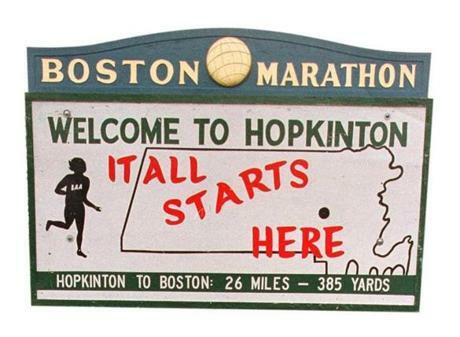 But Boston was out there, and I knew I couldn’t stop trying absolutely everything in my power to get me back to that starting line in Hopkinton. Every PT and acupuncture appointment, every 3-minute jog/2-minute walk interval on the treadmill, every endless lap of pool running, every 5am session on the elliptical, every minute spent icing and foam rolling and stretching – it was all leading me back to Boston, so it was a road worth traveling, even though at times it felt like it was going nowhere. In the short term, it led to an enormously successful 9 weeks of marathon training, including two 20-mile runs – something that seemed nearly impossible to even dream about when the injury was at its worst. Would I recommend to anyone that they run a marathon with only 9 weeks of training? Never in a million years. But if someone came to me and said that they had run Boston last year, and despite being injured and having to miss half their training schedule, they really felt beyond compelled to be back there this year, and was it possible to do it with only half a training plan completed – in that case, I’d tell them that yes, it is possible. Obviously there’s a bare minimum of physical training that’s required to run 26.2 miles, and that distance can’t be covered through sheer will alone. But if you can fit in that bare minimum of training, and you’re invested in a race with every fiber of your being, your heart and your head will go a long way toward making up for any endurance you may be lacking physically. I felt a lot of sadness after last year’s events, but I largely buried my feelings, and it wasn’t until the media coverage began in earnest in advance of this year’s one-year anniversary that I realized that I had never truly processed my reaction to everything. And as I came to that realization, I also realized that the only way I’ll be able to truly, fully process those feelings is to cover those 26.2 miles again. And that is one of the reasons I’ve felt it so necessary to return. This is going to be my 26.2 miles of much-needed therapy. I hope my abbreviated training allows me to run without too much physical pain, but I fully intend to literally run my heart out, and to allow myself to experience all the emotions that I’ve kept somewhat muffled up to this point. It’s going to be a marathon like no other, and a Boston like no other, and I’m extraordinarily honored to take part, and to Take Back Our Race. Best of luck to you Michelle!! I first remember seeing your posts on Run Like a Mother page and have enjoyed following your page and blog. You are an inspiration to so many of those that have never met you, and Id be lying if I said I didnt get excited when you have responded to a post or commented with advice when I’ve asked a question. 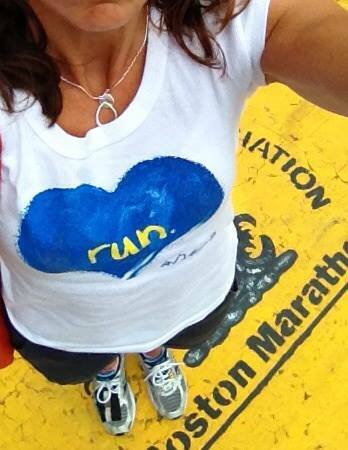 So many thanks, and lots of well wishes to you and all the other runners. Looking forward to reading all about it! !